Apollo Alnac 4G is a tyre meant for quality driving precision, shorter braking distance, amazing control and flawless stability at the time of cornering. The broad shoulders that ensure maximum grip to the surface also help prevent screech during emergency braking and heavy steering. One of the best aftermarket tyre upgrade, Alnac 4G is a tyre that remains predictable and more grounded to the surface particularly at high speeds. The innovative tread grooves design ensures excellent water evacuation when on the move and also prevents hydroplaning in standing water. The additional surface area of contact of the Apollo Alnac 4G provides shortened braking distance at the time of emergency braking at high / low speeds. Offered in radial construction the Alnac 4G comes in 14-inch (4 variations), 15-inch (7 variations) and 16-inch (6 variations) rim sizes. Apollo Tyres offer a 5 year standard manufacturer warranty on this tyre. 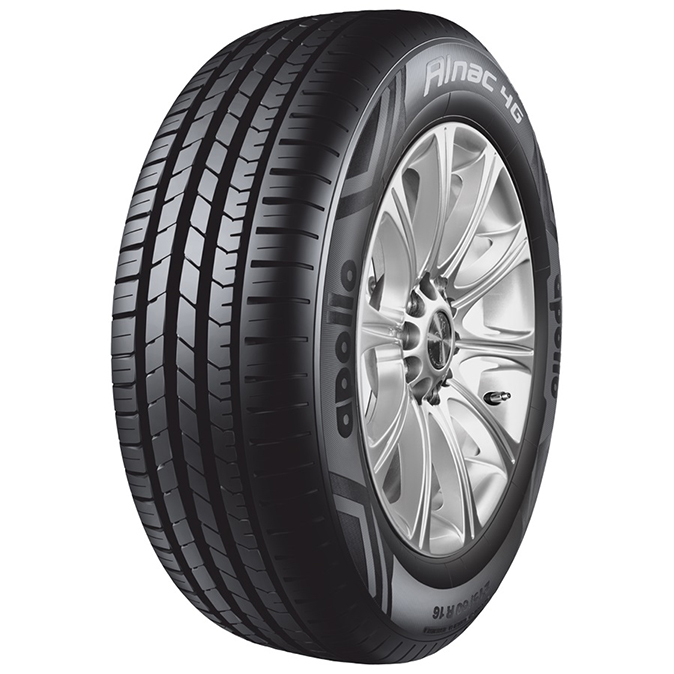 Alnac 4G is a multifaceted tyre that fits nearly all the hatchbacks and mid-size sedans in the market. The broad shoulder line and unique tread design of the tyre ensures maximum plantation over the surface. Unique tread compound features good amount of Tg (Glass transition temperature) rubber. No more heavy-steering. Better steering control of the vehicle provides confidence behind the wheel. Alnac 4GS offers fine quality driving precision and better stability while cornering. Alnac 4GS offers control and better stick to the surface even on high speeds. The optimized contact patch with stiff centre rib allows surefooted braking. Better driving precision and superior stability is offered at the time of cornering. The optimally designed tread grooves ensure amazing water dispersal and excellent grip under wet weather conditions. Better absorption of road undulations results in high quality ride experience. It is made available in 14-inch, 15-inch and 16-inch rim sizes. Best in industry warranty cover by Apollo Tyres makes Alnac 4G a value for money tyre.